This book was a voyage of discovery for me, and the place I visited was a realm of mature female sexuality that previously I'd only observed from the outside. Practically all of the contemporary fiction I've read has been from either a male or an omniscient point of view. J. L. Morin's first-person narrator, Mackenzie, is a fully seen American woman of what to me -- whose connoisseurship dates from the middle of the last century -- is a post-modern generation of worldly-competent janes-of-all-trades. (Morin's own bio mentions currency derivatives, an MBA, TV news and marriage to a diplomat. )The novel is the whole record of Mackenzie's marriage to Charon, a distant and somewhat hostile member of the intelligentsia of Styxos, a Mediterranean island in the process of being integrated into the European Union. There's a maguffin in this picture, an offbeat one: the mouth of Hades, somewhere on the island, according to legend, and the object of an archeological dig that provides part-time work for Mackenzie, otherwise occupied with raising two small children. The maguffin makes its appearance eventually, at the end of a couple of years of ambiguous struggle with the increasingly remote and abusive Charon, during which Mackenzie finds herself crusading against a large but barely visible ring of traffickers in women and girls thrown on the economy of the West by the collapse of the Soviet Union.Morin's Mackenzie is a vivid and vivacious protagonist, judiciously aware of the power of her sexuality and fully in charge of it. The voice sparkles. Travelling Light suffers, though, from chancy editing and proofing -- enough from time to time to cause the reader to stumble over the sense. Too bad, because the story is engaging, the characters attract, and Morin can make you laugh when she wants you to. I intend to read her other stuff. J.L. Morin - JL Morin grew up in inner city Detroit and wrote her Japan novel, SAZZAE as her thesis at Harvard. It won a gold medal in the 2010 eLit Book Award, and was a 2010 Living Now Book Award winner. She took to the road, working as a TV newscaster and writing three more novels. 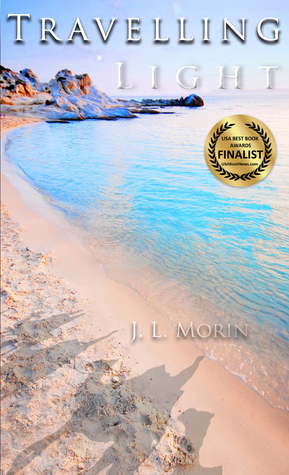 Adjunct faculty at Boston University, J. L. Morin, is also the author of TRAVELLING LIGHT; NATURE'S CONFESSION (Readers' Favorite Award Winner; included in “12 Works of Climate Fiction Everyone Should Read”; an excerpt received Honorable Mention in the Eco-Fiction Story Contest); and ‘Occupy’s 1st bestselling novel’ TRADING DREAMS, a humorous story that unmasks hypocrisy in the banking industry and tosses corruption onto the horns of the Wall Street bull. She writes for the Huffington Post, Library Journal and has written for The Harvard Advocate, Harvard Yisei, the Detroit News, Agence France-Presse, Cyprus Weekly, European Daily, Livonia Observer Eccentric Newspapers, the Harvard Crimson and others.